Laughed out loud when I saw this. I had one of those watches and consumed industrial quantities Anglo bubblegum – or as much as meagre funds would allow. Great to see Charlie Peace name-checked. Haven’t seen his ugly mug in over 40 years. As you can see I’ve just dug out my watch which is another of those odd things that I never got around to throwing away…and I’ll send you the link to the comic………..
Blimey – I’m amazed you’ve still got the watch. I don’t think I got more than a couple of a years worth out of it. Used to love ‘charging’ up the glow in the dark paint on the dial then basking in the spooky glow. Incredible feeling though getting something special in the post when you’re a kid. If I was on TV, or wanted to write a book that no-one would buy, or even wanted another blog I could now set out to trace the other 998 people who won one of those watches……………..
PS: I just visited your blog Sid. Its very professional. I’m afraid people have to “slum it” (as my Grandfather would say) when visiting my weblog. And you’ve reminded me that I really ought to pay more attention to “new” music than I do. I’ve just been listening to one of your fascinating Podcasts..there was some Soft Machine which has sent me digging thru the shelves for “Third” and “Matching Mole” etc. A particular favourite was “Why are we sleeping” with Kevin Ayers’s odd lyrics. 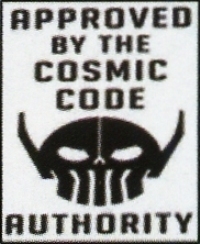 Stamps on approval. That takes me back. I have fond memories of the Bridgenorth Stamp Co. I must have spent a small fortune on their approvals and on those from the Universal Stamp Co. who were based in Eastrington, Goole. I think I was addicted to the thrill of the approvals books arriving and my flipping through them. Naturally I wanted the lot and had to wrestle with some difficult choices. And then there were the Brooke-Bond tea cards, bubblegum cards (from early-60s Outer Limits to Man From UNCLE, Monkees and American Civil War), plus Soccer Stars and goodness knows what else besides. We were spoilt for choice (or fully exploited, some might say). 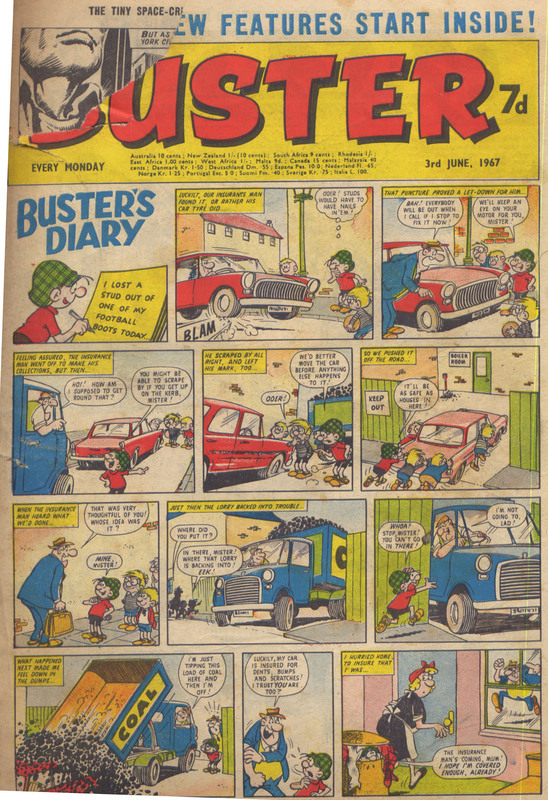 Yes, I gave up trying to get a complete collection of stamps when I realised how absurd the concept was and when I learned that so many were merely small countries’ attempts at generating revenue from unsuspecting junior collectors. I began buying mint sets of 1960s British stamps again recently via eBay, partly for the nostalgia value and partly because they are genuine miniature works of art. The prices are incredibly low and the stamps are lovely to look at. I’m amused at myself for getting mildly bitten by the stamp bug again, but boys will be boys, I guess. Aged about 10 I got a head start on my British stamp collection when my mother gave me her album. She had worked in an office in the 1940s/1950s and saved many stamps from letters and parcels. Exotic items like 5 Shilling stamps !! Then I had a bash at coin collecting when you could still get Victorian Pennies in your loose change. I too won one of the watches, at the age of 9, I managed to keep it for 30 odd years before burglars took off with it. I’ve been trying to find a replacement for years on ebay etc. Thanks for posting the images! Always great to hear from a fellow watch-winner. Only 997 to go now….. These comments appeared elsewhere on the blog in 2014. I thought it was only fair to move them to a more appropriate location here. Hi, I won an Anglo Ace divers watch in the 1960’s in a competition, one of a 1000. I sold it in 1970 as it stopped working before I knew how to service watches. Now I’d like to buy one from anyone who won one or has one that they would sell in any condition as I am a watchmaker. 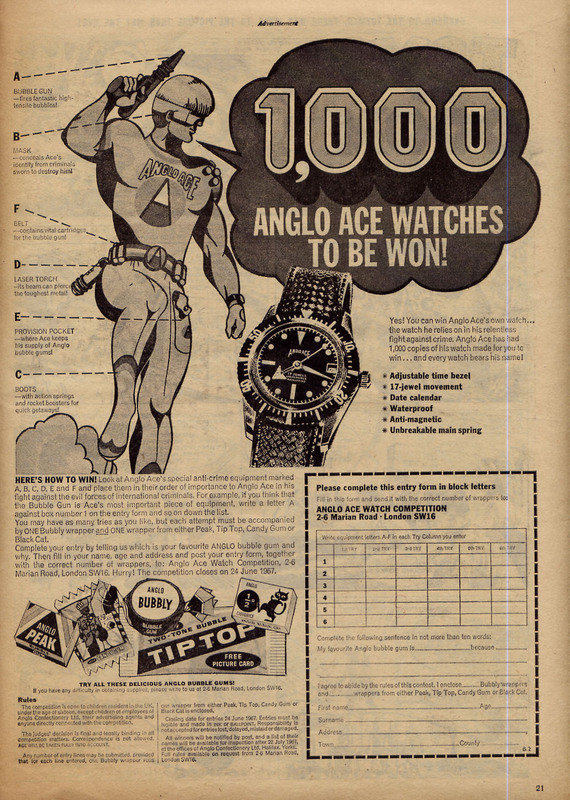 I will pay up to £1000 for an Anglo Ace divers watch. 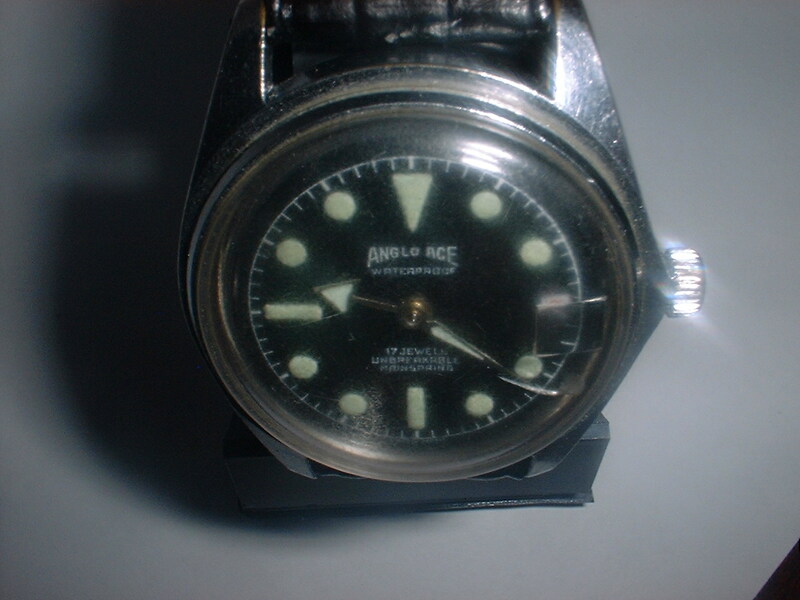 Hi, I won an Anglo Ace divers watch in the 1960’s in a competition, one of a 1000. I sold it in 1970 as it stopped working before I knew how to service watches. Now I’d like to buy one from anyone who won one or has one that they would sell in any condition as I am a watchmaker. Here is an update from Ronald on 31st July 2014. Hi everyone. I finally got the Anglo Ace divers watch I wanted. It was broken and I have restored it. It cost me £41 off eBay. So I imagine a lot of them out of the thousand won are needing some restoration after 45 years of use. I restore watches clocks and jewellery. If any one needs help contact me asap. ron.